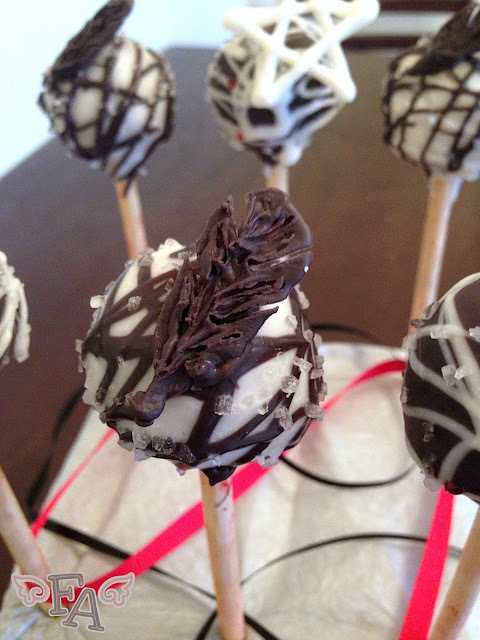 CW's "Supernatural" season 9 premiers tomorrow (10/8/13) so how about making a batch of "Supernatural" inspired cake pops to celebrate? These pops are made with red velvet cake for the base as representation for, you know, all of the blood that goes on in the show. I also used wooden pop sticks (pointed at the top, of course) incase any staking needs to happen. 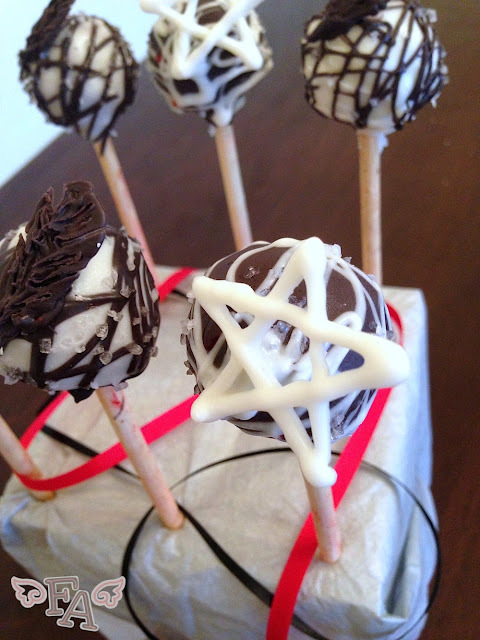 The pops are also sprinkled with sea salt to protect against demons & other impure baddies, and sport warding pentagrams for hunter use and black angel feathers (Cas dropped a few feathers & they got all tiny and edible. It's an as of yet unexplored angel magic. Dean may or may not know about this already). And if you're having a party with these pops don't forget Dean's mini Philly cheesesteaks to add something savory to the mix. Styrofoam block or something else to hold the cake pops upright while they dry. 1. 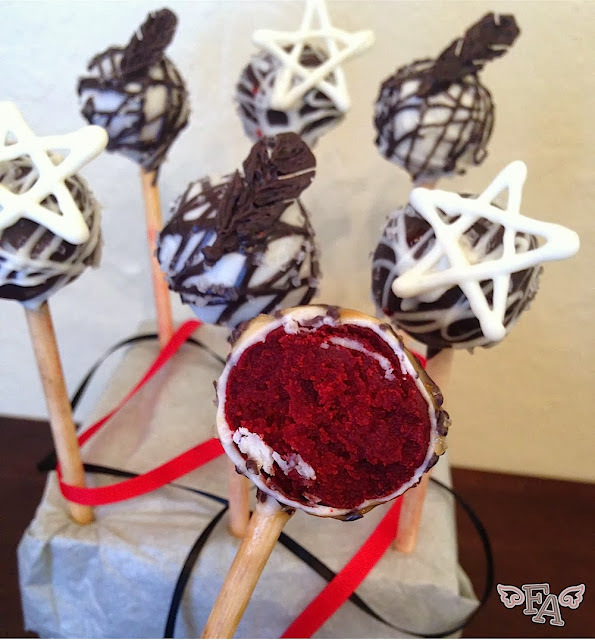 Make your red velvet cake pops using whichever method you'd like (cake cop maker, crumbled cake + cream cheese or frosting, etc.) & chill in the freezer for a few mins. to solidify. Remember when inserting the sticks to do so with a little dab of melted chocolate at the ends so the sticks stay stuck in the pops. Heat the white chocolate in a microwaveable bowl at 30 second intervals, stirring after each time, until completely melted. Add in a small amount of oil & stir to make the chocolate thinner & more dip-able. Dip half of the pops in white, tapping your wrist gently while holding the pop over the bowl so the excess chocolate falls off. Stick the coated pops upright in the styrofoam. 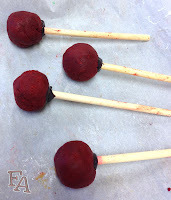 Now repeat the melting & dipping process with the black melts for the other half of the cake pops. 2. Put the rest of the melted white chocolate into a candy piping bag or squeeze bottle, or simply use a spoon for this step, & zig-zag drizzle white chocolate over the black pops. 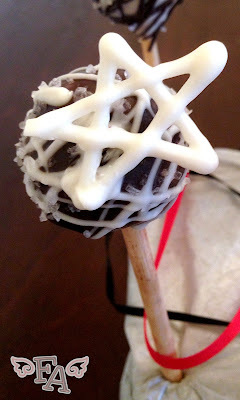 Do the same thing for the melted black & drizzle it over the white pops. Sprinkle course ground sea salt onto all of the pops & let the pops harden. 3. Line a tray with parchment or wax paper. Using the melted white in the bag or squeeze bottle, or you can use a toothpick, draw several thick pentagrams/stars on the waiting paper lined tray (make the number of stars equal to the number of black pops). 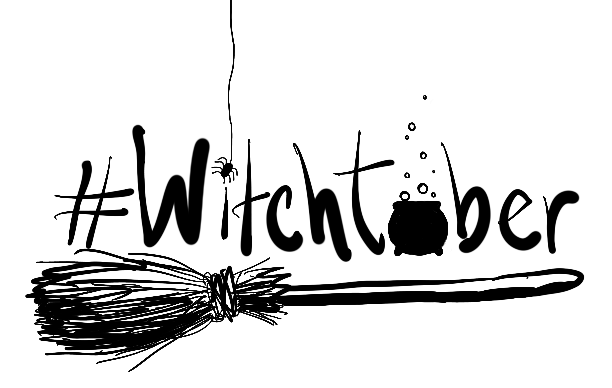 Be sure to leave room for the black feathers you'll be making in a sec. 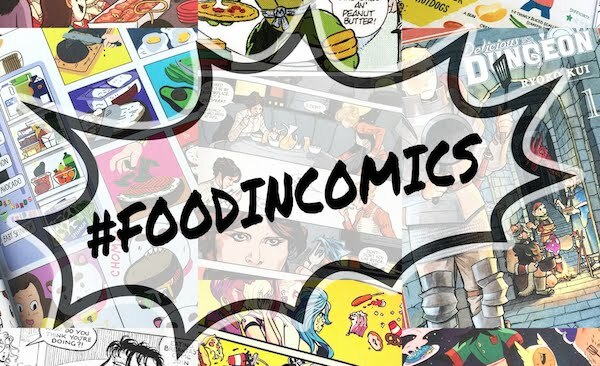 Next, using a clean toothpick, create several little, thick, oblong blobs on the parchment paper (equal to the number of white pops) & carefully drag out the bottom of each blob to create the feather quills/"stems". 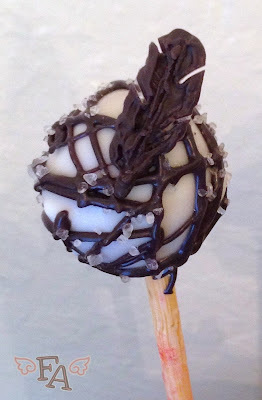 Continue to shape the blobs into feathers as the chocolate hardens by lightly dragging the toothpick upward to make the quill within the feather & up diagonally several times to create the impression of the feathers' barbs. Lastly, in a few areas, diagonally drag away some of the chocolate to create slits in the feathers' vanes/sides (as shown above & below). Let the stars & feathers harden. Putting the tray in the freezer for a few mins. helps. 4. Once the stars & feathers have hardened, carefully release them from the paper by reaching your hand underneath & pushing up on the shapes while pulling away the paper. 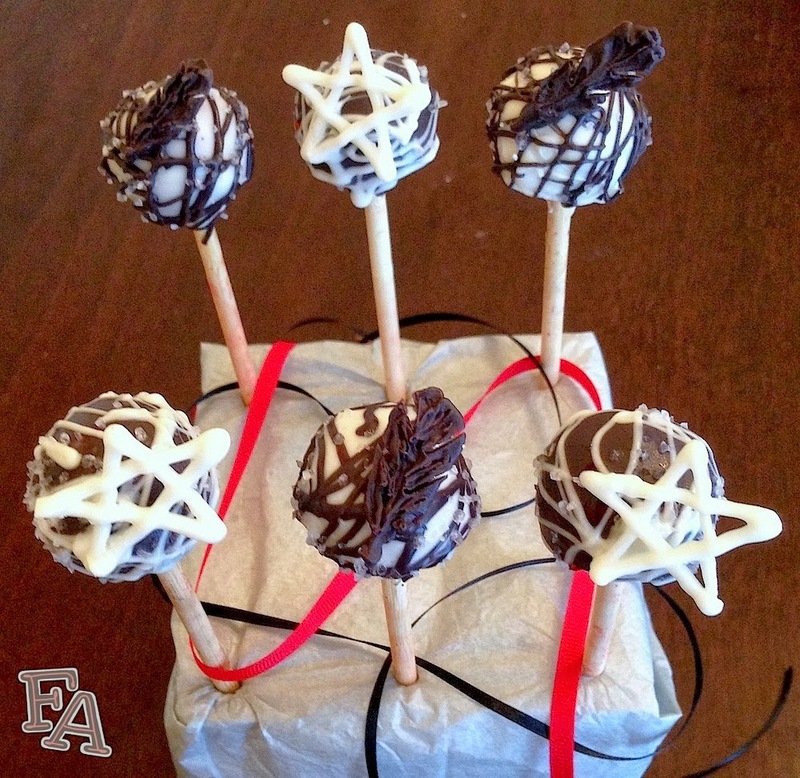 Affix the stars to the black pops & the feathers to the white pops using tiny dabs of melted chocolate (reheat the chocolate if needed, 30 secs. in the microwave). 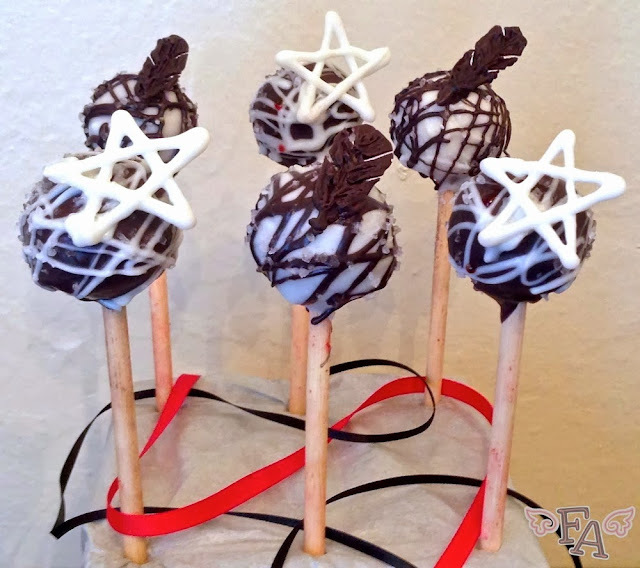 You'll need to hold the stars & feathers in place while the chocolate hardens, but be careful not to melt the shapes with the heat from your hands! You can do this step while the pops are upright, but laying them down is easier as it requires less holding in place against gravity.